Rohlf’s Studio can hermetically seal stained or leaded glass between 2 layers of 1/8″ clear float, tempered or Low E glass, creating a panel that is 11/16″ thick. Thicker glass is available, which will result in a thicker unit. These units are typically not recommended for installations exceeding 8 square feet. We provide lead tape insulated units in a Tudor or Colonial style from 5/8” to 1” thick, hermetically sealed. Lead sizes can vary from 1/4” to 7/8”. Panels can be taped on surfaces 1 and 2, or 1 and 4. Panels can also be provided with an individual look to each pane. 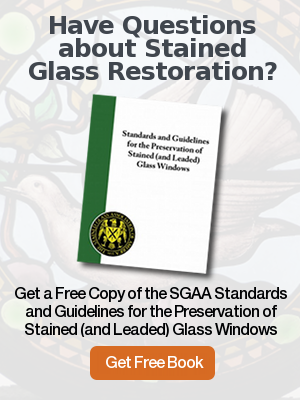 All joints are soldered to create an authentic leaded glass look. 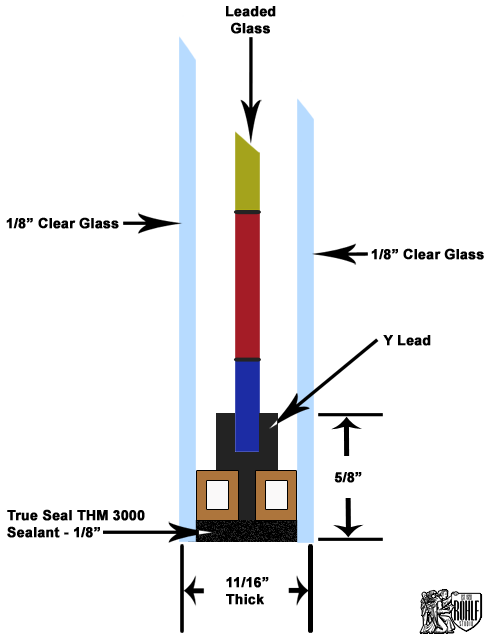 The above diagram shows the specifications of true divided leaded glass panels that are glazed with a Y-Lead which is set between two bronze spacer bars with desiccate 3/16″ X 1/4″ each. 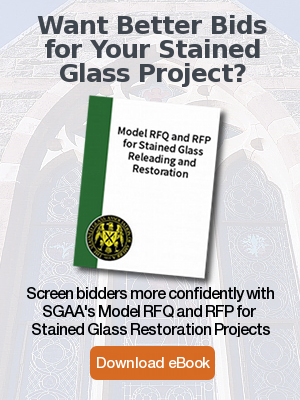 The interior & exterior glass used is 1/8″ Clear Annealed Float Glass, which is then sealed at the perimeter with an injection of 1/8″ Tru-Seal THM 3000 Sealant.